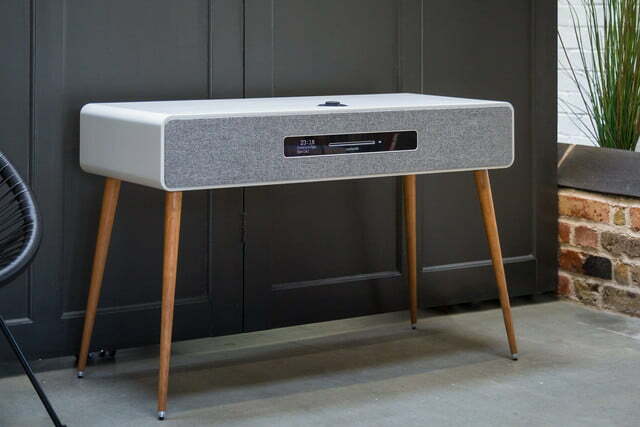 The word radiogram, for those not familiar with it, is a Britishism for a record player and radio cobbled together in a single, usually large, piece of furniture. 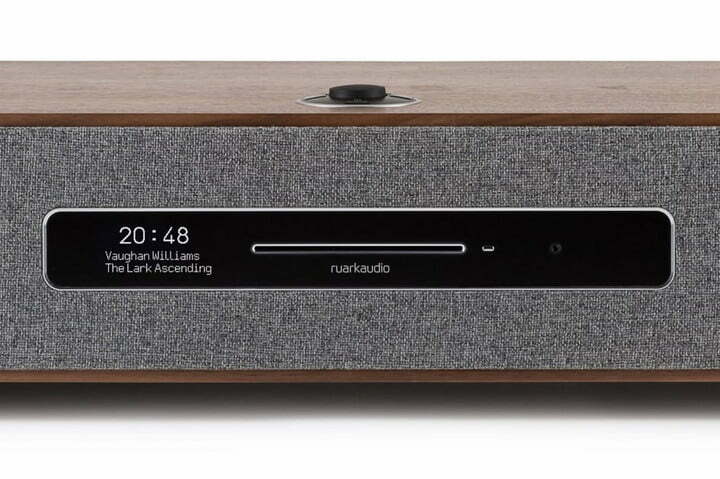 While it hasn’t been in common usage for decades, audio company Ruark has brought it back for the release of the R7 MkIII, which is a radiogram for the Spotify generation. What does it do? 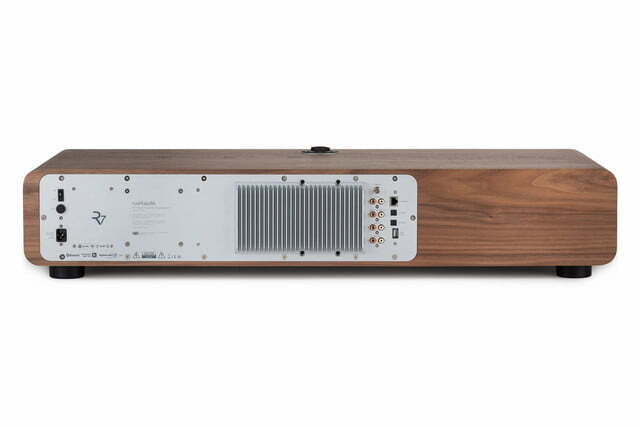 Pretty much everything, up to and including doubling up as a soundbar under your flatscreen TV. Before we talk about the functionality, let’s examine the design. A radiogram circa 1950 took up more space than most couches, and often had a pair of speakers so large that even Metallica might think twice about putting them on stage. 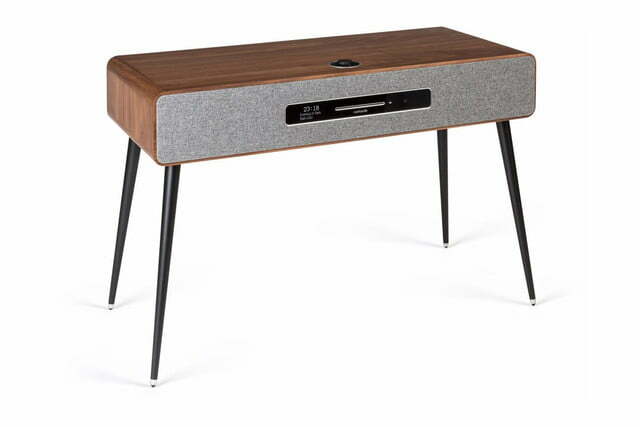 The Ruark R7 MkIII is more nuanced, more design-led, and considerably more modern than its ancestors; yet still captures the retro spirit. It now resembles a table, supported by four legs that bring the whole thing up to about waist height. 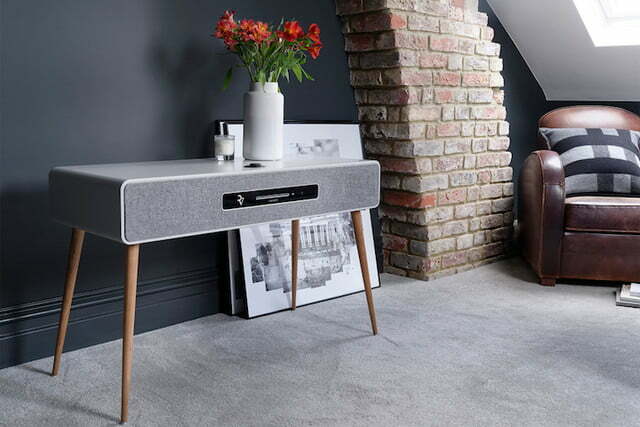 It’s made to sit innocuously in your home, pumping out music without overwhelming the room in the way a pair of floor standing speakers would. Available in both rich walnut and soft grey, it’s surprisingly versatile in its design, and should fit in well regardless of your home’s decor. 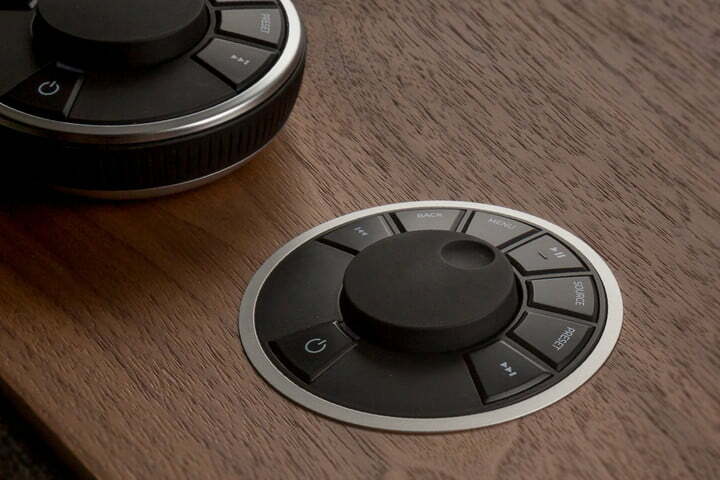 The surface is also strong and durable enough to be used as a table. If you don’t want the long legs, a pair of puck-style feet can be used, allowing the R7 to sit on another piece of furniture. 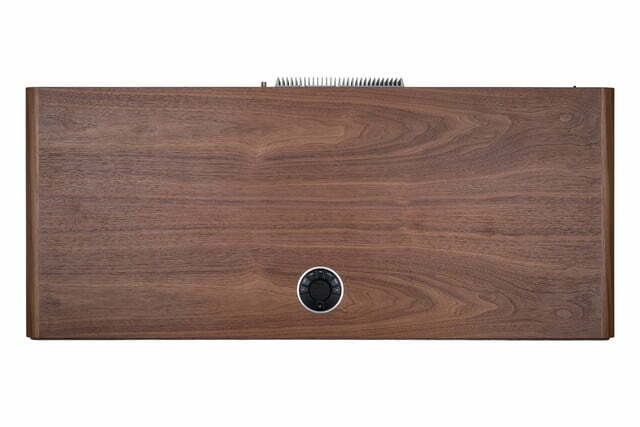 A system to mount your TV to the R7 can be purchased separately, where the unit effectively becomes a soundbar. However, the R7 MkIII is made to be heard, not to stand your cup of Earl Grey on. 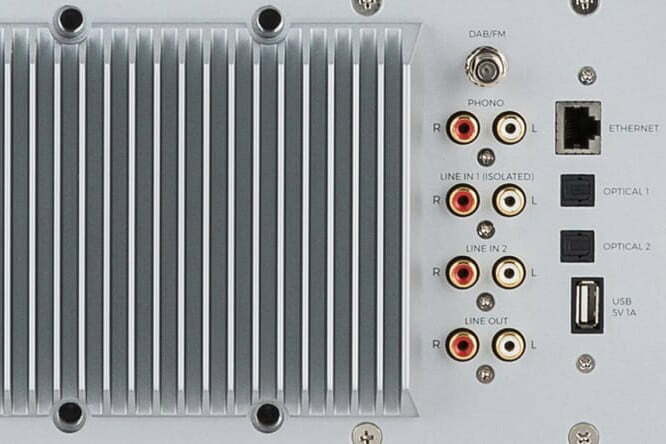 A 160-watt amplifier drives two 140mm speakers mounted behind the fabric front cover, and there’s a 200mm active subwoofer providing the bass. A single-slot CD player breaks up the fabric front panel along with the OLED screen, while on the top of the R7 is Ruark’s RotoDial control. We’ve used this before, on the excellent R4-30, and with the R7 there is also a wireless version that acts as a remote control. 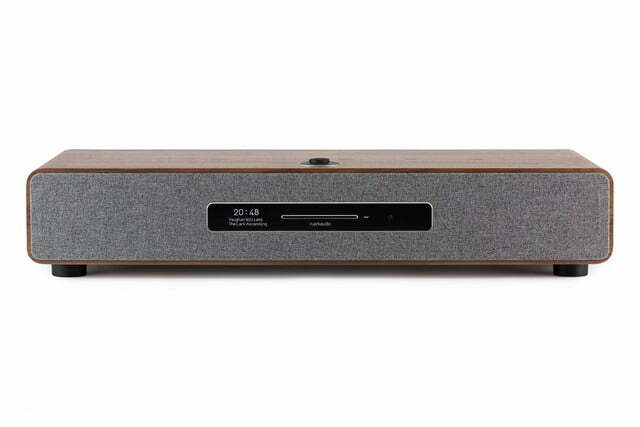 In addition to the CD, the R7 has Spotify Connect built-in, along with DLNA connectivity for wireless streaming, and Bluetooth control which also supports the latest AptX HD codec for CD-quality streaming. 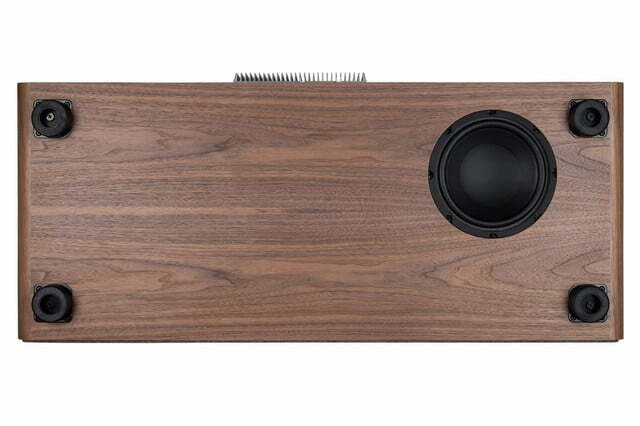 The R7 also links up with other Ruark speakers for multi-room audio playback. 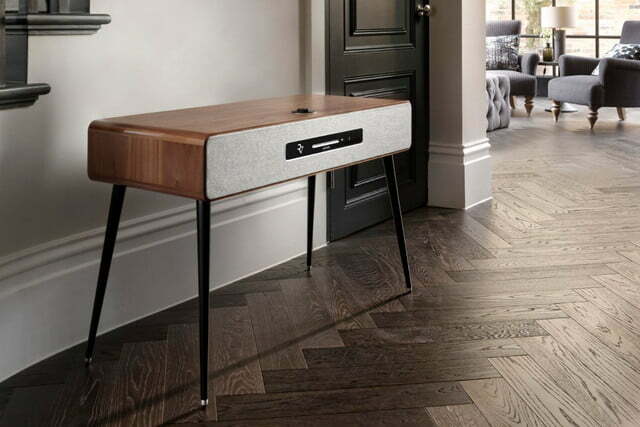 It wouldn’t be a radiogram without a radio, so the R7 has four options: FM radio, DAB, DAB+, and internet radio support. There’s a wealth of connections at the back, too, including an Ethernet port, RCA, optical, and USB connections, plus one to add a turntable of your choice. There isn’t much missing from the R7 MkIII, but such versatility comes at a hefty price. It costs 2,300 British pounds, or about $2,950. Ruark expects to start shipping the R7 MkIII in October, but currently doesn’t have distribution in the United States.